We only ship to the lower 48 States, Alaska, Hawaii, Puerto Rico and the U.S. Virgin Islands. You can easily order by phone. A note on photovoltaic modules. from a higher voltage battery bank to operate lower voltage loads. with a lower voltage charging source. along with the battery bank voltage. the load voltage and the battery bank voltage. fixed higher voltage within its amperage limits. output a fixed lower voltage within its amperage range. these items are being sold As Is and Without Warranty. voltage off of a higher voltage battery bank. You would run your 12 volt loads off of 12 volts worth of batteries. amperage rating from your bank. storage capacity, the higher the surge amperage. The battery bank acts as a buffer for the EQ unit. connected to a 12 volt section of the battery bank. The EQ unit will start to balance out the battery bank. Efficiency is greater than 95%. The larger models include a NEMA 4 weatherproof enclosure. Dimensions: 4.5" by 2.5" by 2". These units are made in Canada by Solar Converters. the steel housing has been discontinued. This has a mounting tab on each end. 3-1/2" wide by 2-3/8" front to back. Input voltage = 12 to 32 volts d.c.
Output voltage = 5.0 volts d.c.
frame/chassis as the negative ground for the 12 volt load. brand new and being sold As Is, Without Warranty and Not-Returnable. directly from a 24 volt battery bank. when connected to a 24 volt battery bank. output voltage as well as to turn the unit off. Output Voltage: 13.6 volts - adjustable using internal pot. Built-in 7.5 amp replaceable automotive fuse. app. 5/14" long by 3-1/4" wide by 1-3/4" high. For loads with a high starting amperage. 12 volt battery(s) directly from a 24 volt battery bank. a 12 volt battery(s) directly from a 24 volt battery bank. Input voltage = 40.0 to 60 volts d.c.
Internally fused (ATC-5 amp automotive) for protection. 3-1/4" wide by 1-1/4" tall. Internally fused (ATC-15 amp automotive) for protection. 3-1/4" wide by 1-3/4" tall. Input voltage = 44.0 (turn on) to 60 volts d.c. Housed in a weathertite NEMA 4 box. overall length including strain relief and radius of wires is app. 7". frame/chassis as the negative ground for the 24 volt load. is user adjustable for odd outputs such as 18 volt and others. voltage as the battery voltage drops. user adjusted in the field with the internal pot up to 30 volts d.c. 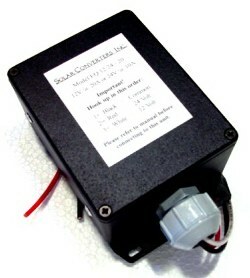 Solar Converters builds their products to order. here at our location in Kingman, Arizona. Currently we have 2 in stock. 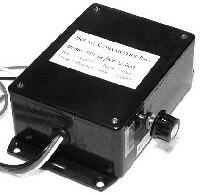 a 12 volt battery and can also be used as a regulated 24 volt d.c.
power supply when connected to a 12 volt battery(s). input voltage = from 10 to 15 volts d.c.
battery or batteries (can be adjusted with the internal pot up to 30 volts). output current = 6.0 amps continuous and up to 10 amps for 2 minutes. efficiency = 92 to 96% depending on loading and state of charge. Solar Converters has closed their doors. 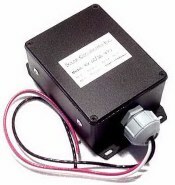 maintains a 24 volt d.c. output which is accurate within +/- 2%. Housed in a NEMA 4 weathertite enclosure. Surge output: 7.5 amps for up to 2 minutes. 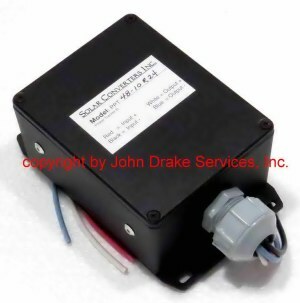 Solar Converters, Inc. constant voltage pump / load driver. from a 12 volt battery at one amp and maintains the load voltage as the battery voltage drops. It will output 2 amps for two minutes to handle surge loads. Input voltage range: 10 to 15 volts d.c.
Output voltage regulated at: 48 volt d.c. Efficiency: 92 to 96% depending on the load. Easy to mount in its 4" by 2" by 2" enclosure. Output amperage is 2 amps continuous. It will output 4 amps for two minutes to handle surge loads. Input voltage range: 12 to 30 volts d.c.
Output voltage: 48 volt d.c. Currently we have 3 in stock. nominal lead acid battery. For a custom voltage use the Pxx in the part number when ordering. Rxx – By default the output voltage is will regulate at the voltage specified in the part number. Note – These units only regulate if the input source is lower than the regulated output voltage. PPT unit and your load. buffer battery and continue to supply power to your load. zip code - it offers Priority Mail shipping. amount of your order and only offer ground shipping. if you already have a PayPal account - from the funds in your account. Mastercard, Visa and American Express. weight and your zip code. 3) We accept telephone and fax orders and accept Mastercard and Visa. 4) Checks and money orders are gladly accepted by mail. and catalogue numbers of the items you need.